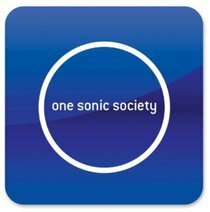 One Sonic Society is a Contemporary Praise & Worship collective of Christian musicians from around the world. It is comprised of noted songwriter Jason Ingram (vocals, guitar and piano, Delirious? lead guitarist Stuart Garrard(guitar and vocals, Hillsong UNITED drummer Paul Mabury (drums and programming), and Delirious?' Jonathan Thatcher (bass and synths. Their debut album Forever Reign was released in February 2012.